Unsurprisingly, given a hectic summer of launching a new research project in Italy while my family accompanied me, I have sorely neglected this blog. Don't worry -- we all made it back in one piece, and the girls miss gelato and insalata caprese like crazy. 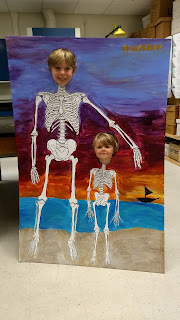 My kids take a #Skelfie. One of the tasks awaiting me when I returned was moving all my stuff into the lab space vacated by my retired colleague. It took a few weeks of hard work (mostly on the part of my graduate assistant, Madde Voas, that is), but it's finally in a state of decent organization. To celebrate that feat, and to open up the lab in a way that it never has been before, Madde and I organized an Open Lab Day. Like an open house, the doors were open from 9-4 today, and we invited students, staff, and faculty to see our 3D scanners and printers, our bone prep area, our research posters, and some Roman samples from Gabii and Oplontis. My new colleague Allysha Winburn had a forensic activity set up, and students from her class and mine came in and out all day. The star of the show, though, was this photo-op. I saw something similar on the UT Knoxville anthro Facebook page recently and *loved* it. 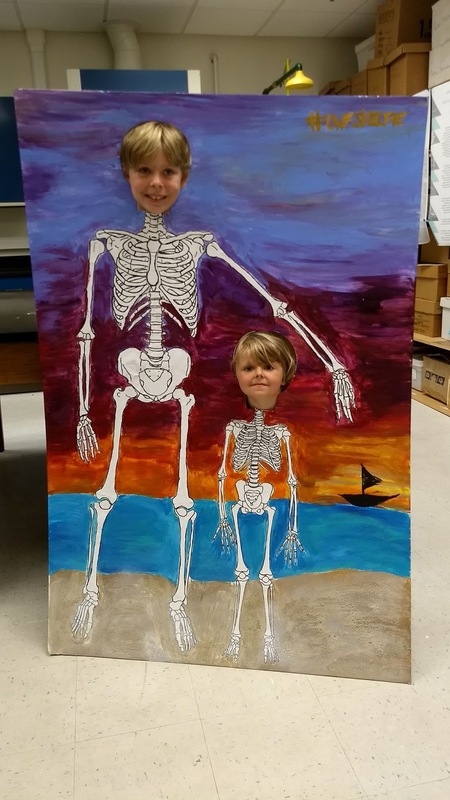 So I found printable, full-size adult and child skeleton outlines at UT Austin's eSkeletons page. Madde carefully cut them out and glued them to a large piece of foam board. 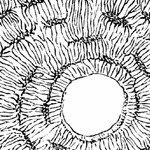 She then traced around the lines (to make them look less print-out-y) and cut out skull-shaped holes for people's faces. Finally, she did an amazing job on the background, making it look like the skeletons are hanging out at lovely Pensacola Beach (there's even sand glued to the bottom!). 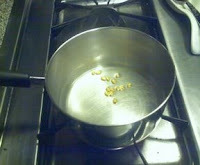 In addition to dreaming up things to challenge Madde to do for the Open Lab, I handled the food and drinks. (Gotta encourage people to come in, right?) 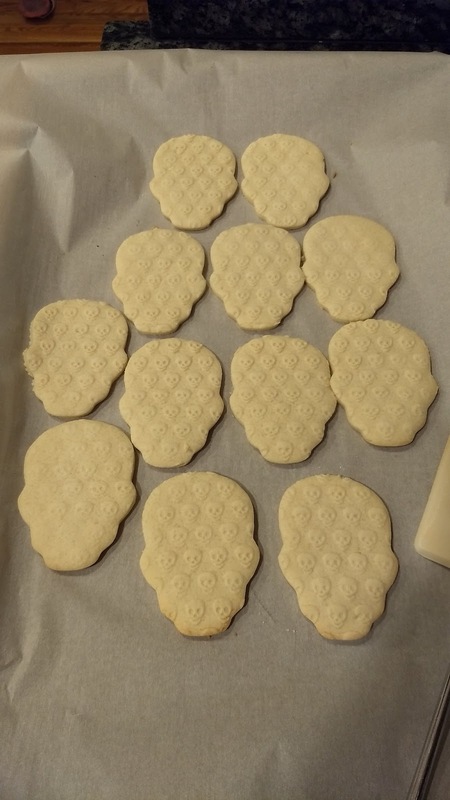 This meant I got to pull out my skull rolling pin and make skull-shaped cookies with skull embossing (that we put on a skull-shaped plate, so it was true skull-ception!). I think everyone had a good time, and it was nice to see my intro students outside of the big lecture hall. So, if you want to join in on the fun and are looking for an MA program in biological anthropology (or archaeo or cultural anthro), check out uwf.edu/anthropology. Each of us takes on new students every year, and there is funding available in the form of TA positions and out-of-state waivers. Deadline is January 15 for fall 2018 admission. 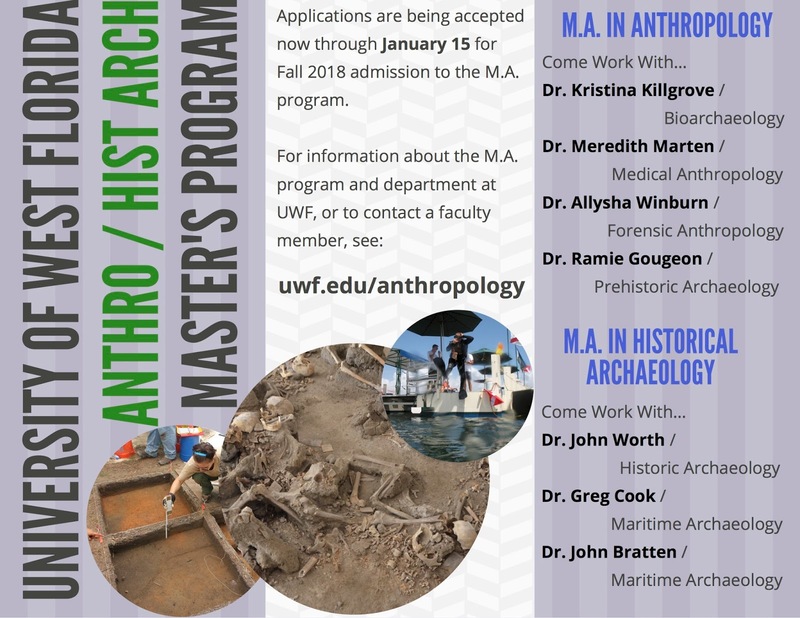 Check out the flyer below or the website for more info, and don't hesitate to email me or any other faculty to ask questions about our two MA programs (anthropology and historical archaeology). omg i came her via an old link on Ask a Mortician, and i live in Pensacola! (went away for college, back for now, etc.) so yeah. hi!